Morris dance is a form of English folk dance usually accompanied by music. It is based on rhythmic stepping and the execution of choreographed figures by a group of dancers, usually wearing bell pads on their shins. Implements such as sticks, swords and handkerchiefs may also be wielded by the dancers. The earliest known and surviving English written mention of Morris dance is dated to 1448, and records the payment of seven shillings to Morris dancers by the Goldsmiths’ Company in London. Further mentions of Morris dancing occur in the late 15th century, and there are also early records such as visiting bishops’ “Visitation Articles” mention sword dancing, guising and other dancing activities, as well as mumming plays. While the earliest records invariably mention “Morys” in a court setting, and a little later in the Lord Mayors’ Processions in London, it had adopted the nature of a folk dance performed in the parishes by the mid 17th century. The name is first recorded in the mid-15th century as Morisk dance, moreys daunce, morisse daunce, i.e. “Moorish dance”. The term entered English via Flemish mooriske danse Comparable terms in other languages are German Moriskentanz (also from the 15th century), French morisques, Croatian moreška, and moresco, moresca or morisca in Italy and Spain. The modern spelling Morris-dance first appears in the 17th century. It is unclear why the dance was so named, as with many folk customs, the origins are hidden in the mists of time and coloured by later perceptions, which may or may not have been correct. No one knows for certain the origins of Morris Dancing. 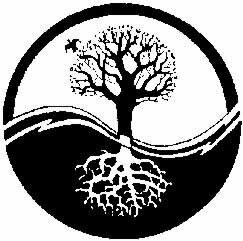 It may well have its roots in rites celebrating fertility and the coming of spring. Dancers would blacken their faces with soot so they would not be recognised by the local priest, and would resemble “Moors”. This gave rise to “Moorish Men” or “Moorish dauncers” and hence to Morris. Another train of thought suggests the dancing came from Spain and was brought back by John of Gaunt, second son of Edward III around 1387, when his army returned from the Spanish wars.The first record of a Morusk dance is at Lanherne Cornwall in 1468. At Betley in Staffordshire in an old house there is a painted glass window dating from 1470. It shows a Morris side with their musician, a fool, hobby horse, and two Robin Hood characters, Maid Marian and Friar Tuck. In the middle is a Maypole. Over time the dances were assimilated by the established church, and by the 1500s Morris was being performed for Easter, Whitsuntide, and saint’s days. In fact Morris dancing became so much an accepted institution that medieval churchwarden’s accounts show that accessories were provided by parish funds. St Lawrence Church Reading, accounts show “Moreys Dawncers” perfomed on Dedication Day 1513 and were given 3d for ale. In 1509 “six peyre of shone for Mors daunsers”. In 1530 12d was paid for “a grosse of bells for the Morece dawnsers” . At St Thomas Sarum 1557, they decorated “the endes of the banners with bells” the Church procession jingled forth like the Morris. William Shakespeare includes Morris in both Midsummer Nights Dream and Henry VI. It is possible that the word Morris is derived from the word ‘Moorish’ or ‘morisco’ (a derogatory term meaning ‘little Moors’). Certainly in the very late middle ages, Morris dancers were sometimes referred to as morisco dancers, but it is pretty certain that, whatever the origin of the word, there is no evidence that the dance came from the Moors or entered the country with the armies of John o’ Gaunt or anything of that sort. Neither is there proof of any connection between Moorish dancing and Morris dancing. When people recorded these customs in the 1890s, they were obsessed with seeking out ancient beginnings. In the seventeenth century there had been suggestions of a connection with Moorish dancing and it was adopted as a convenient theory. It fitted in, for example, because some dancers blacked up their faces and attached bells to their legs, which was believed to be something to do with North Africa. Similarly, there is little evidence that Morris dancing has any connection with pagan festivals other than that many societies across the world celebrate calendar events with dance customs. What we do know though is that Morris dancing has a long recorded history in this country, the earliest reference being from 1448. During the nineteenth century Morris Dancing declined rapidly. New forms of entertainment, rapid social change and its association with an older unfashionable culture were all contributing factors. For various reasons, church ales and Whitsun ales survived quite late in the south-west Midlands. Most of the Cotswold Morris tradition comes from this region and many of the Cotswold Morris sides gave dances to Cecil Sharp and other collectors which formed the basis for the dance revival in the early twentieth century. As well as the Cotswold dances other regional versions of the the morris also survived long enough to be collected. These included ‘Border Morris’ from the Welsh border counties of Shropshire, Herefordshire and Worcestershire, North West from Lancashire and Cheshire, and Molly dancing from East Anglia. In the north of England long sword dancing was collected from Yorkshire and Rapper sword from the North East. It was widely believed that other regional varieties of the dance had been forgotten and lost. New evidence has recently been unearthed of ‘lost morris’ in other areas of the country. Several English folklorists were responsible for recording and reviving the tradition in the early 20th century, often from a bare handful of surviving members of mid-19th-century village sides. Among these, the most notable are Cecil Sharp, Maud Karpeles, and Mary Neal. Boxing Day 1899 is widely regarded as the starting point for the Morris revival. Cecil Sharp was visiting at a friend’s house in Headington, near Oxford, when the Headington Quarry Morris side arrived to perform. Sharp was intrigued by the music and collected several tunes from the side’s musician, William Kimber; not until about a decade later, however, did he begin collecting the dances, spurred and at first assisted by Mary Neal, a founder of the Espérance Club (a dressmaking co-operative and club for young working women in London), and Herbert MacIlwaine, musical director of the Espérance Club. Neal was looking for dances for her girls to perform, and so the first revival performance was by young women in London. In the first few decades of the 20th century, several men’s sides were formed, and in 1934 the Morris Ring was founded by six revival sides. In the 1950s and especially the 1960s, there was an explosion of new dance teams, some of them women’s or mixed sides. At the time, there was often heated debate over the propriety and even legitimacy of women dancing the Morris, even though there is evidence as far back as the 16th century that there were female Morris dancers. There are now male, female and mixed sides to be found. The continuance of the Morris is as much in the hands of independent groups of enthusiasts as it is in the nationwide groupings such as The Morris Ring or The Morris Federation. So while for some sides there is a feeling that the music and dance recorded in the 19th century should be maintained, there are others who freely reinterpret the music and dance to suit their abilities and including modern influences. In 2008 a front page article in the Independent Magazine noted the rising influence of neopaganism within the modern Morris tradition. The article featured the views of Neopagan sides Wolf’s Head and Vixen Morris and Hunter’s Moon Morris and contrasted them with those of the more traditional Long Man Morris Men. Conversely, the Telegraph carried a report on 5 January 2009, predicting the demise of Morris dancing within 20 years, due to the lack of young people willing to take part. This widespread story originated from a senior member of the more traditionally-minded Morris Ring, and may only reflect the situation in relation to member groups of that one organisation. The success of Terry Pratchett’s Discworld novels has seen the entirely invented Dark Morris tradition being brought to life in some form by genuine Morris sides such as the Witchmen Morris and Jack Frost Morris. The advent of the Internet in the 1990s has also given Morris sides a new platform upon which to perform. Many Morris sides now have entertaining websites which seek to reflect the public persona of the individual sides as much as record their exploits and list forthcoming performances. There are also a multitude of thriving Morris related blogs, forums and individual sides are to be found maintaining an interactive presence on major social networking sites.